Welcome to my website about vacation rentals in Italy. On this website I am going to share my experiences renting and renting out vacation rentals in Italy. 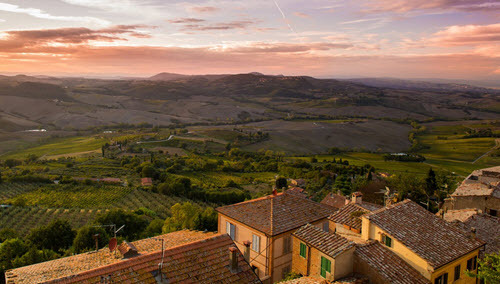 I mainly have experience from the Tuscany region of Italy but the website should be able to help you no matter where in Italy you want to settle. There might however be some difference between different states and you should therefor always research local rules and regulations before you buy or rent a house. Some cities might have rules that prevent you from renting your house to tourist. This makes it harder to make money from the house. This guide is written with expats in mind. People who do not know the Italian culture from birth. People who do not understand how different the Italian culture is from the Northern European or American culture. The difference can be infuriating when you first arrive in Italy and can make it very hard to get anything done. Things do however get better once you learn how things work and you learn to hurry slowly. I am not saying you will ever get 100% used to the culture or that you will learn to appreciate it. If you are like me you will come to respect it but still find it infuriating at times. The best you can do is to do the best of the situation and not let it get to you. Remember you choose to move to or invest in the area. No one forced you. You got nothing to complain about. Italy is a wonderful place to visit. Full of stunning landscapes and good food. If you want to be able to just enjoy the country then I recommend renting a house and letting other deal with the management of a property. By renting you can focus completely on enjoying your life. There are a lot of nice properties available for rent and you can find affordable housing as well as luxury accommodations. How much you have to spend depends on where you want to live and what standard of living you desire. Vacation rentals are generally rather expensive and Italy is not a good destination for anyone looking for a budget vacation. This is especially true in Tuscany, Rome, Venice and most of Northern Italy. If you are looking to get as much as possible for your money then you are better of going further east to Moldavia or former Yugoslavia. Italy and the rest of Western Europe is expensive. If you plan to move permanently to the area then buying a property can be a good option. By buying a property you are able to change everything you want to change and get the house of your dreams. Most properties in Italy are expensive. Cheap credit have inflated the prices and most properties are expensive despite being below what they where a few yeas ago. It is important that you understand that there is a very real risk that the prices might go down. If you buy a house it should be to enjoy it. Not in the hope that it will appreciate in value. It might, but prices are just as likely to go down. It is possible to make money investing in vacation rentals in Italy but I would generally recommend against it. The property prices are too high for it to be a safe investment. A Property in Italy is a high risk investment in line with options, Forex certificates and CFD:s. If you want a lower risk investment then i would look at properties in Moldavia or just invest in dividend stock. There are of course properties that are great buys but most properties are overvalued and we are likely to see a second price correction in the Italian market once interest rates reach more normal levels. Cheap credit have kept the market on artificial life support since the 2008 crash and we have still not seen a big enough correction to get a healthy real estate market. If you find your dream property and want to rent it out until you can move into it then it might be worth buying a property. But it is in my humble opinion not worth looking for an investment property. It is too hard to find good opportunities unless you live in Italy and is able to act quickly when good opportunities hit the market. Never trust the brokers. This is true for both Italian and Expat brokers. Most will tell you what they think you need to hear to buy a property. Regardless of whether it is the truth or nor. Do your own research in regards to what houses in an area should cost and how much you can expect to earn each year from renting it out. Then use this information to decide whether a property is a good investment or not. You should look for the perfect property. Make sure it ticks all your boxes before you buy it. You can read more about invest in Italian real estate in our guides.